By way of an announcement, and following private discussions about accepting the result of the Brexit referendum, and not aggravating feelings further, I've been making enquiries about what actions there are available locally for those seeking at least to limit the damage of Brexit. This post was last modified: 20-08-2018 12:44 PM by Tim Lund. This post was last modified: 01-09-2018 01:47 PM by Tim Lund. Are they for or against? 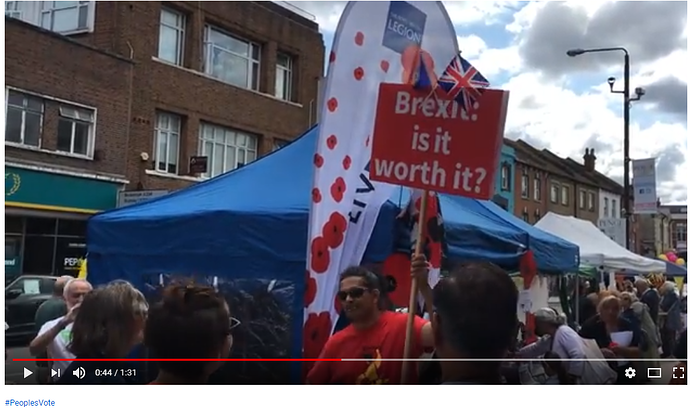 Waving the placard with "Brexit - is it worth it?" and the paired flags of the United Kingdom and European Union is something of a clue! Ah, I took the meaning of the thread to be that damage limitation was a good goal rather than trying to avoid leaving. Yes that was the point I was making. Once you start talking about damage limitation you have already admitted defeat. Second referendum is the only good option.